Signature Spicy, Smoky, Sweet Chili is my signature chili recipe. 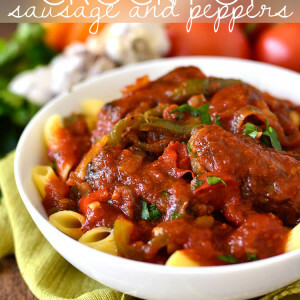 Slightly spicy, smoky, and sweet, it’s crock pot and freezer-friendly, too! Happy second day of fall, y’all! Sorry, couldn’t help myself. Mother Nature hasn’t gotten the memo that it’s no longer summer and, according to the weatherman, will be cranking out mid 70s for the forseeable future. I’m not complaining, but after experiencing the frigid 50s a few weeks ago I’ve made the mental shift and no longer feel right about wearing anything with short sleeves. Thus, I have been LIV-ING in jeans and The Black Fleece. You know the one! 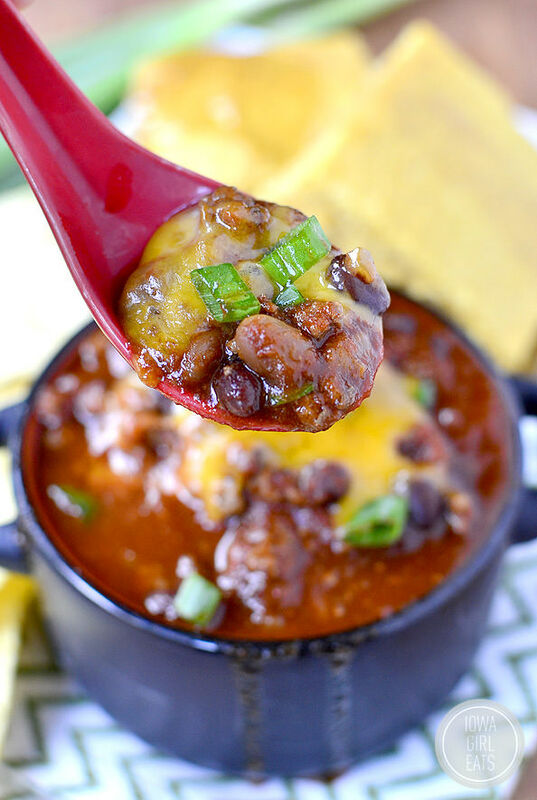 Anyway, my taste buds are also craving a cozy yet casual experience so, despite the summery temps, I broke out my go-to Signature Spicy, Smoky, Sweet Chili recipe last weekend and gave it an updated twist to share with you in this Way Back Wednesday post! Growing up I never really liked chili. It was always too…I don’t know, tomato-y? My Dad, the chief chili cooker in my house, always made it with huge hunks of tomato which, gagsville. Totally not knocking my Dad’s cooking, he’s the best hash brown, gumbo, and french toast maker this side of the Mississippi (always wanted to say that,) but he likes chunks and, well, I don’t. It wasn’t until my early 20s that I fell in love with chili. I was living in the frigid tundra otherwise known as Minneapolis in the wintertime when one of my best girlfriends who was living right down the street at the time made a big pot for us to warm up with one dark and freezing night. The chili immediately won me over and I wrote the recipe down as soon as I scraped up the last bits from my bowl. What was so great about Lindsey’s recipe that could erase 20+ years of chili avoidance? Surprise, surprise, it’s a tad sweet, plus it’s got some heat. Normally I’m not a huge spicy foods-lover, but with the touch of sweet it totally works. Over the years I’ve fine-tuned her recipe to fit our tastes to a T and it’s become my go-to signature chili. I have the recipe memorized and make it over and over again in the fall and wintertime. It’s awesome for making on a Sunday afternoon then eating for lunch all week long. I never get sick of it! I actually posted the recipe back in 2011 with cornbread baked on top but didn’t include measurements for the spices, and recently added smoked paprika to give the chili a kick of smokiness, so I’m featuring it again with an updated ingredient list. 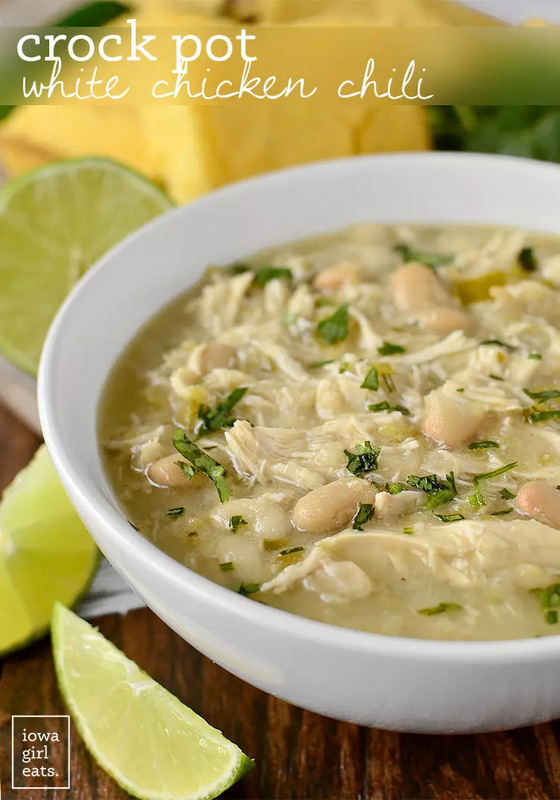 I also tested my Signature Spicy, Smoky, Sweet Chili recipe in the crock pot and here are my thoughts: this chili can be ready to eat in less than 45 minutes – we’re talking from raw ingredients to scooped into a bowl and topped with freshly grated cheese – in a soup pot or Dutch Oven on the stove. BUT, if you want to be able to throw a bunch of ingredients in a crock pot and walk away for 4-6 hours then it works perfectly that way too. Either way, you’re going to love it! Start by browning 1lb ground beef with 1 large chopped shallot or 1 small onion, 2 cloves garlic, salt, and pepper in a large soup pot or Dutch Oven. 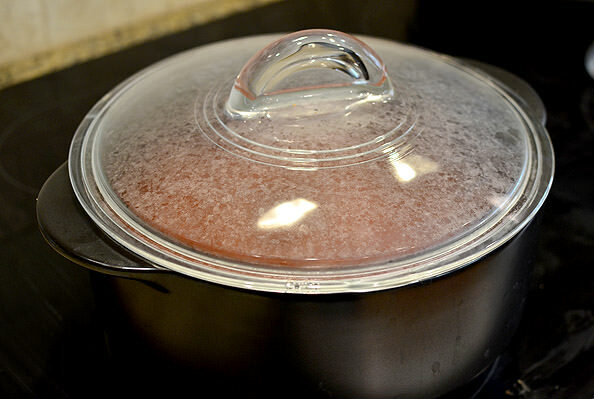 If you’re going the crock pot route then brown the beef mixture in a skillet and then add it to a 5-6 quart crock pot. 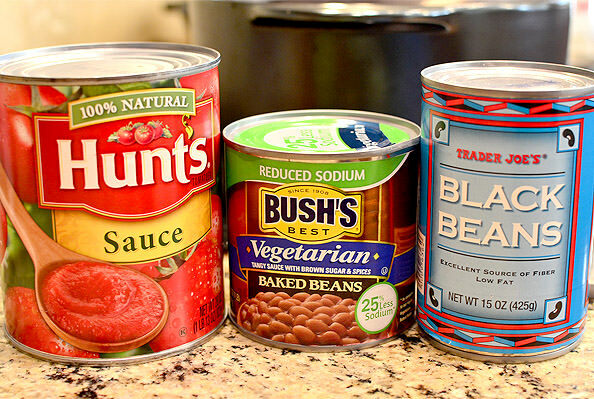 Next add a 28oz can tomato sauce, 15oz can baked beans, and 15oz can black beans, drained and rinsed. For whatever reason I’ve always used Bush’s Vegetarian Baked Beans in my signature chili, but you can use whatever kind you like best. I just love how the baked beans add a touch of sweetness! 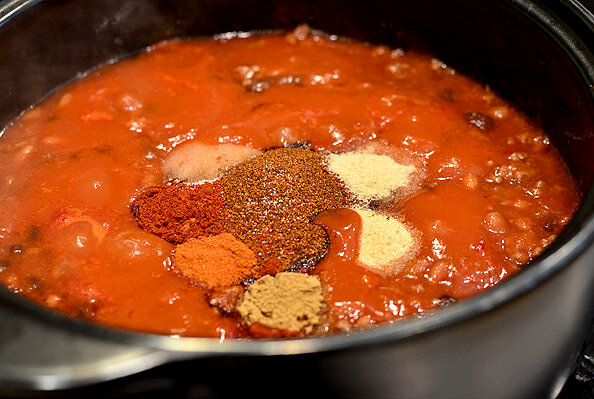 Now add all the spices that turn tomato sauce and beans into Signature Spicy, Smoky, Sweet Chili. You’ll need 3 Tablespoons chili powder, 1 teaspoon smoked paprika, 1/2 teaspoon each salt, garlic powder, onion powder, and cumin, and 1/4 teaspoon (or more or less) cayenne pepper. The smoked paprika gives this chili a totally unique flavor and plays well off the smoky/spicy chili and cayenne powders. Mmm! Now for the piece de resistance: 1-2 heaping Tablespoons brown sugar. The chili tastes completely different without the brown sugar so if you like a subtle sweetness in your chili then you’ve just got to go for it! Trust me, it will not make your chili taste like candy. It’s all about balance between spicy, smoky, and sweet. Place a lid on top then simmer for 30 minutes, stirring two or three times. Alternatively, stir everything together in the crock pot then cook on low for 4-6 hours. If you’re around you can give it a stir a few times, but it’ll be ok in there if you can’t stir it. I tried letting the chili slow cook for 8 hours but it reduced down a bit too much and some of the flavors got lost. Stick with 4-6 and you’ll be set. This chili also freezes PERFECTLY. 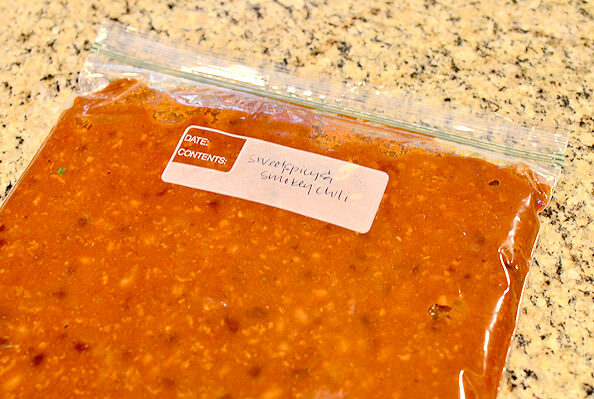 Let it cool completely then scoop into a freezer bag and freeze flat. 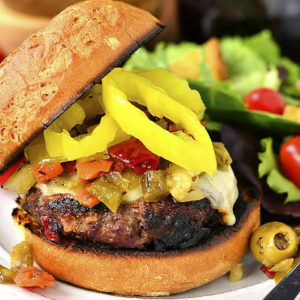 To reheat, let it thaw in the refrigerator overnight and then reheat on the stove. When it’s time to eat, scoop the chili into bowls (these little crocks are from Ben’s Chili Bowl in D.C.!) then top with melted cheese, chopped green onions, and tortilla chips for crunch! Brown ground beef, shallot or onion, and garlic in a large skillet over medium high heat, seasoning with salt and pepper. 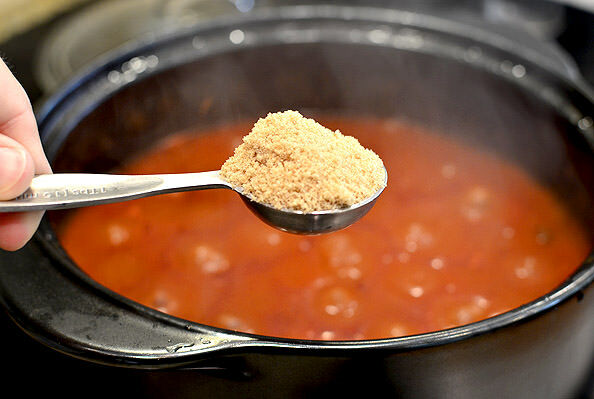 Add the remaining ingredients then simmer for 30 minutes, stirring once or twice. Crock Pot Cooking Instructions: Transfer ground beef mixture to a 5 or 6 quart crock pot then add the rest of the ingredients and stir to combine (can be done ahead of time. Store in the refrigerator until ready to start cooking.) Place a lid on top then cook on low for 4-6 hours. 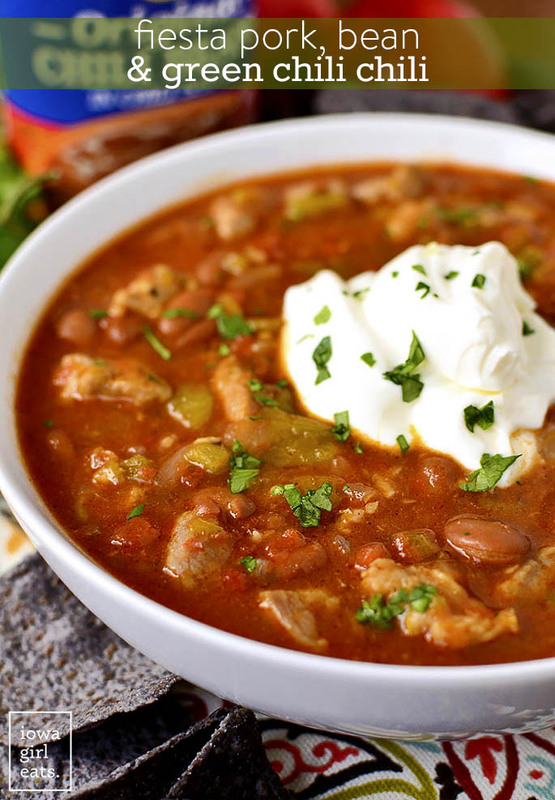 I could not love this chili more – well I guess I do with the addition of that smoked paprika! Me + Signature Spicy, Smoky, Sweet Chili = always and forever. Oh, don’t forget the cornbread! I made a gluten-free batch then topped it with Cinnamon-Honey Butter. That’s just 1/4 cup softened butter mixed with 2 Tablespoons honey and 1/2 teaspoon cinnamon. Reeeeeediculous! Other Chilis You Might Like! 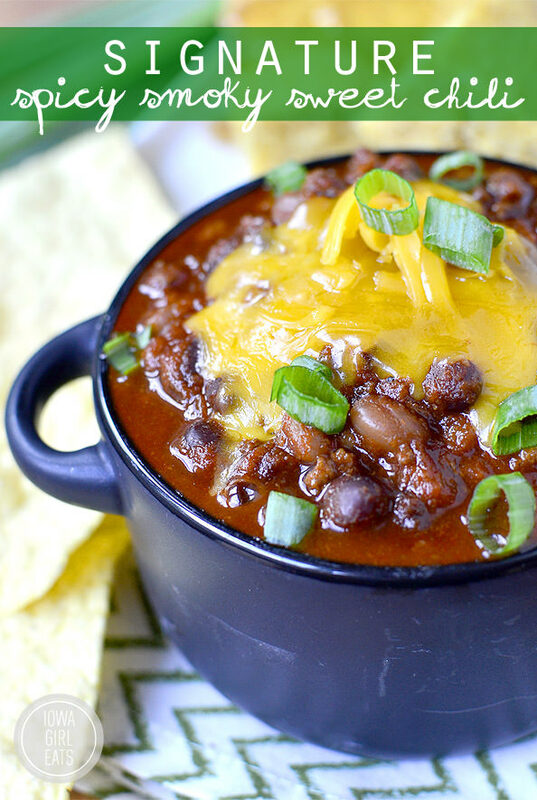 I’ve been adding baked beans to my chili since you posted this recipe the first time in 2011! Instead of cayenne, I add spicy pork sausage to my ground beef. It’s so good! I’ve been making this chili since you first posted it with the cornbread on top. It is our go-to chili! It converted me from having noodles in my chili! Plus it’s allergy friendly which is a plus in our house! I’m always looking for a new chili recipe! In my opinion, you can never have too many. 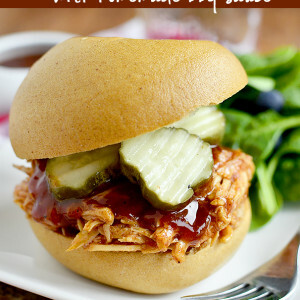 This one looks delicious and I love the sweet and smoky flavors. Love your chili recipe – it’s the only one we make now (other than my own white chili)! The only change we make is adding an extra can of black beans because we like it a little thicker, and sometimes we use ground turkey instead of beef. Thanks for adding the spice measurements, I bought the smoked paprika a few weeks ago based on your recommendation and can’t wait to try it! The addition of sugar to chili is key. It’s that little something extra. Add a little sugar to spaghetti sauce as well. I’m going to try this recipe soon. Yummy! Chili season has arrived, and yours looks delicious. My mother always added brown sugar to her chili too. It’s so good. I am with you about the weather. Here in Utah, we were in the low 60’s or 50’s and then it warmed back. We’re due to hit 90 on Thursday same on Friday then a storm comes in and by Sunday snow in the mountains. Mother Nature gives me whiplash sometimes. I do admit though all the leaves changing on the mountains is a sight and every year it’s one of my favorite things. My fall/winter wardrobe is also a lot cuter IMO. LOL! 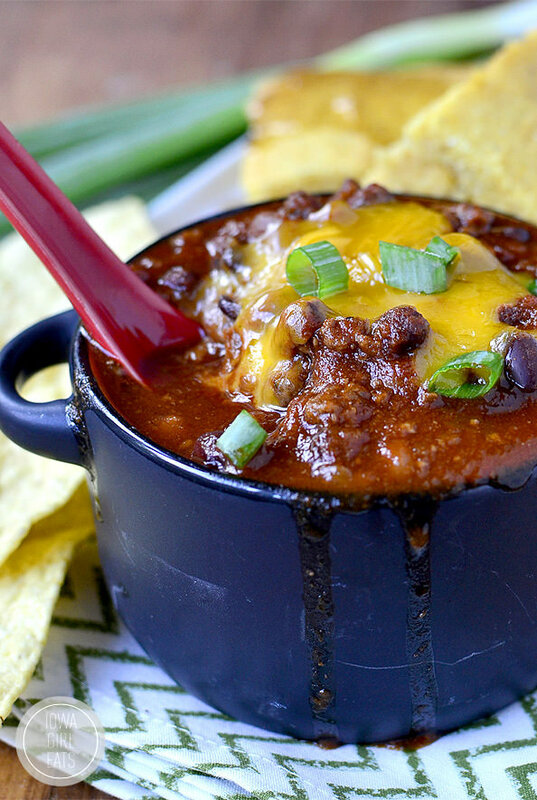 I love chili and I will be trying this. I ALWAYS make chili for Halloween so as everyone comes and goes, there is something warm and this chili sounds yummy. I think it will be a great change from the boring one I always make. I’ve been making this chili since you posted it in 2011! I don’t even measure out the seasonings anymore – know it by heart :) SOOOO good. Yum! How perfect for a bonfire! I love making this chili recipe too! I’m glad that you finally added spice measurements so I have an exact idea of how you originally intended this recipe to turn out. One twist that we like to do is sub the hamburger with chicken instead. Yum! 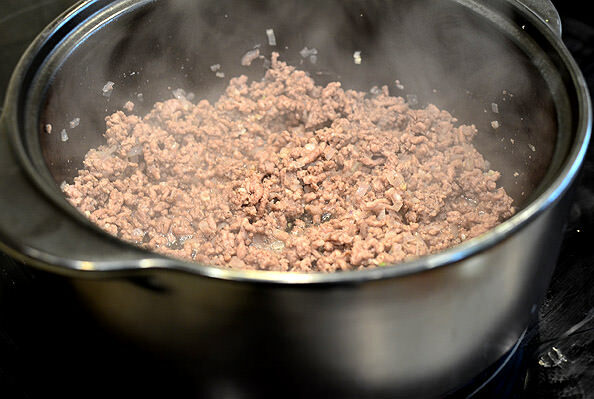 Question: It says to brown the ground beef with onion and garlic then add the remaining ingredients and simmer for 30 minutes – what are the remaining ingredients at this point in the process? Because in the next step, it says to transfer the ground beef mixture into the crock pot and add the remaining ingredients before cooking for 4-6 hours. This looks amazing and I just want to make sure I get it right on round #1! Thanks for your help! Totally going to try your mix of seasonings in our chili. (We also use baked beans in our recipe!) We’re always changing the amount/type of seasoning but it would be nice to have a go-to combo. Thanks! 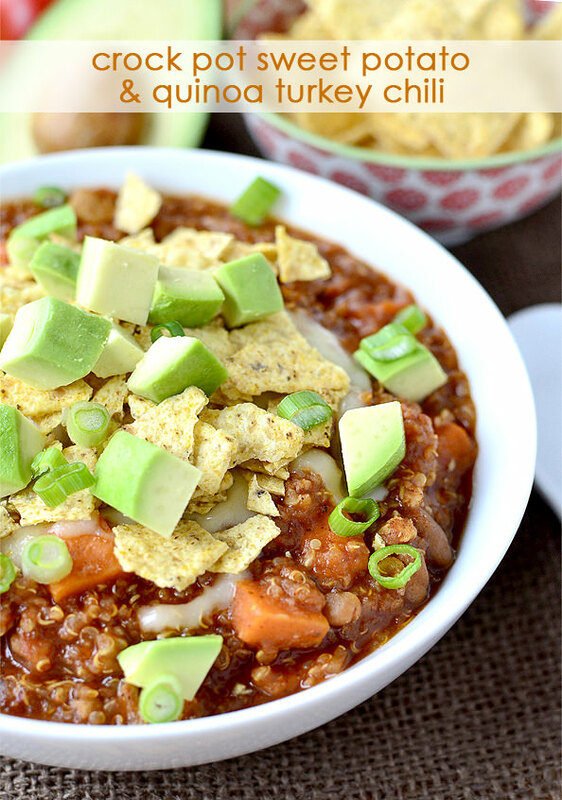 This is still my absolute favorite chili recipe to date! 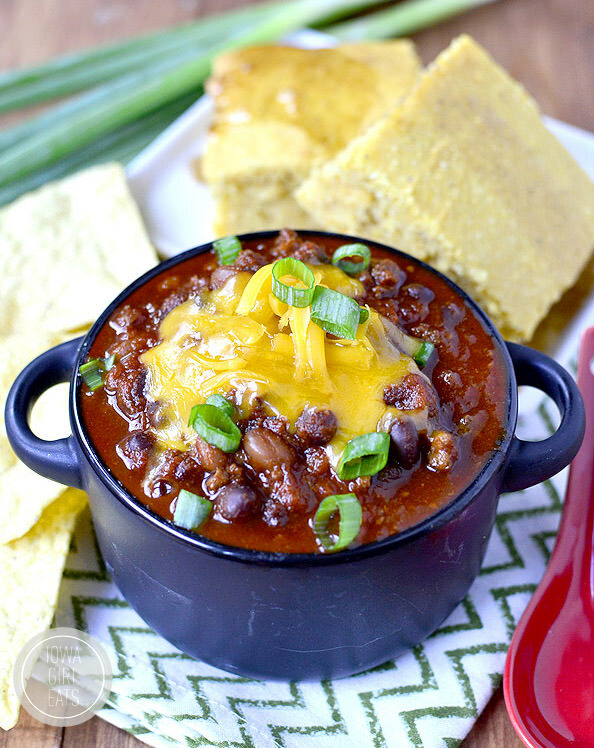 Ever since you first posted the recipe I have made this chili a gazillion times in winter and fall, and baked beans are now a staple in my pantry, when I never used to buy them. I still never did get around to trying the cornbread on top, but maybe I’ll tackle that this year! Ah chili and cornbread reminds me of my childhood! 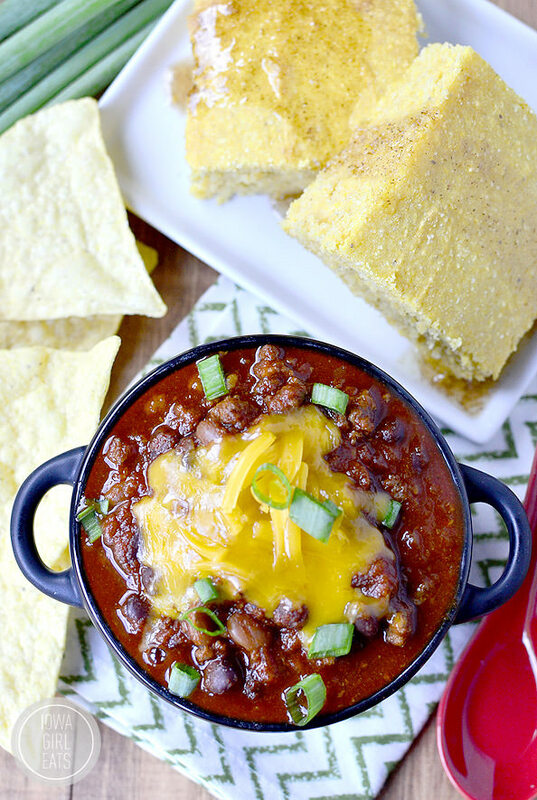 My mom used to make the BEST chili with cornbread. I would always lather my cornbread with butter and honey- YUM! Hi Kristin. I’m a huge fan of your blog and your recipes! You are an inspiration. I’m in the planning stages to create my own travel themed blog. I couldn’t find your post about blogging – I remember you did one a while back. Can you recommend a web hosting site and a site for WordPress themes? How do you decide on a theme based on little thumbnails? Ugh it’s so daunting! Hi Kristin! Is this the post you’re talking about? http://iowagirleats.com/2010/10/19/so-you-want-to-start-a-blog/ Also these two posts are awesome resources for new bloggers! This chili looks sensational. I’ve pinned it so I can make it soon. 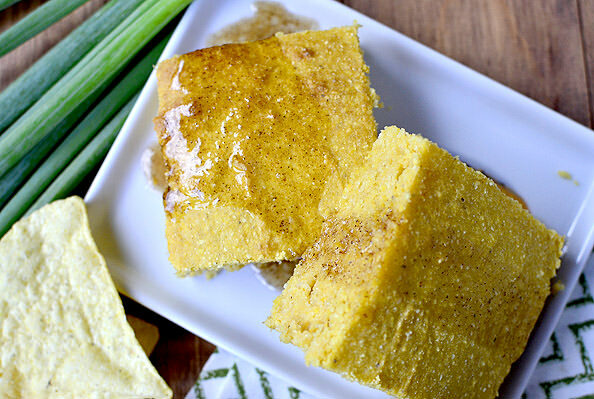 Do you have a recipe for your gluten free corn bread somewhere? How spicey is this chili, because we don’t do to much heat, I suppose if I left out the cayenne?! I make buttermilk by adding a little over a TB of white vinegar per 1 Cup of milk, and let it stand for about 5 minutes. Hope that helps! This was really delicious and particularly appropriate for the cooler-than-normal weather we are having in NC this week. I’ve always been a fan of traditional chili but this had a different combination of flavors that worked so well together. Oh well, the more chili recipes the merrier! I made this for dinner last night – SO delicious. Thank you for this great recipe!! I had to tell you I made this for dinner tonight. It was FABULOUS. The whole family (even my super picky eater) gobbled it up. You were right… the brown sugar did not make it too sweet. My new chili recipe– thanks!! Wondering where to find smoked paprika or what could be used instead. Hey Mary! You should be able to find the smoked paprika right in the spices aisle at the grocery store. It will probably be near the “specialty” spices. I tried this chili last night and it is perfect!! I almost had a personal meltdown when I saw the crock-pot version, but re-read it and it had the stovetop instructions. Great recipe!! 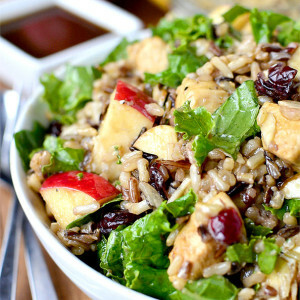 Tonight is my fave – southwestern chicken bowls with jasmine rice!! My all-time fave!!! This was delish and super simple! I have been trying chili recipes for years without a favorite. Made this yesterday and found “the one”! Thanks so much! This was awesome! I ate two bowls of it on Sunday. 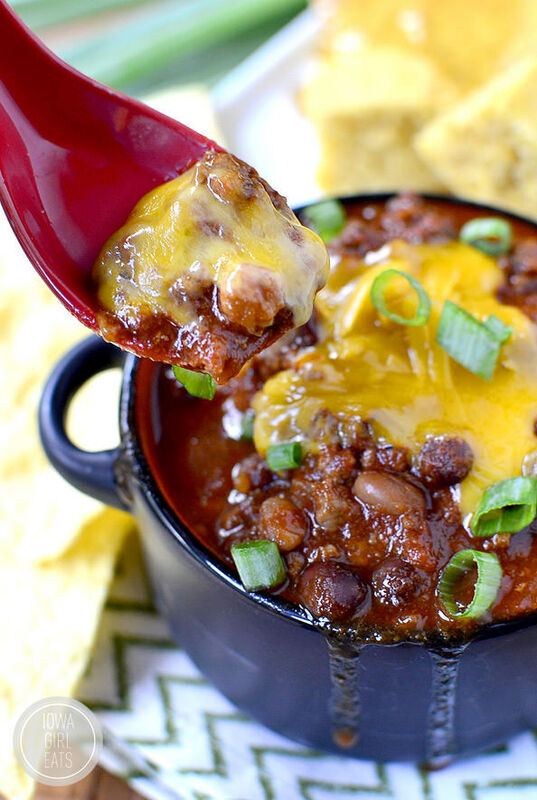 I would never have thought of adding baked beans to chili, but I love baked beans and loved this chili. Next time I will double the recipe! Made this last night and it was AWESOME! Everyone loved it, even my kids ages 6, 4 and 1. Will definitely make this again. I just made this for dinner tonight. Yum! It’s such a different flavor for chili. My husband and I both really enjoyed it. 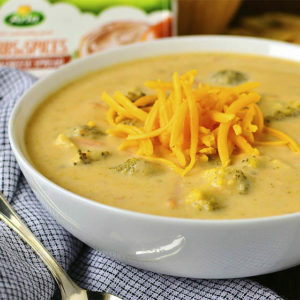 It’ll definitely stay in my regular rotation of soups. I knew it would be too spicy for the kids, but they could still eat the cornbread I made along with slices of ham. I felt the same way about chili for the longest time, but it wasn’t just the tomatoes that got me, it was also the beans. There is something about a red bean that turns off my taste buds completely! I’ve fallen for black bean and white bean varieties and ones with no beans all together. I’m not sure about using baked beans though…. This was sooooo good. I usually make my chili with the Carroll Shelby seasoning mix, so this was a great switcheroo. The smoked paprika makes all the difference and I loved the baked bean addition. Thanks for sharing! Delish!!!!!! Made this last night for dinner. And loved it. Different take on the usual chili I make. I used your recommendation and made it with the cornbread to go along the side. I think my husband devoured half the loaf dipping it into the delicous Chili. I actually made my Chili with 99% lean ground turkey to lighten it up. Thank you for the great recipes, and all the great recipes you post. Every single one has been great, keep them coming!!!!!!! We’re still eating this and loving it! I do have a question, though. When you say it serves 6, would you say it’s a 1 cup serving? I’m trying to log my food on MyFitnessPal and I’m not really sure. It’s complicated by the fact that I made a double batch AND that my idea of a serving is vastly different than my husband’s idea of a serving. LOL Thanks in advance! Hey Kristen – so glad you guys love it! I would say it’s at least a 1 cup serving. Maybe a little more! Made this tonight with ground chicken instead of beef and it was incredible! Smoked paprika was new to me, and now I can’t wait to try it out in a few other recipes-delicious! this chili was amazing! I found this recipe earlier this month and have already made it 3 more times! 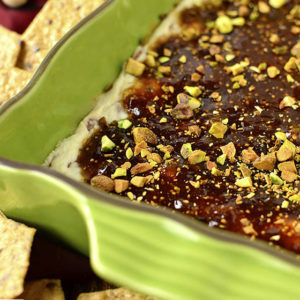 great for entertaining or weeknight dinners. Love love love and such great flavor, no nonsense and easy to throw together! I like your style and I want to stick with One person for a while on my quest to become an amazing home cook. I’ll cook your chilli then I’ll cook the Pioneer Women’s, who’s site I also visited while looking for personable web-sites/ recipes. I will be using chicken instead of beef and im a huge heat lover so I will be added habanero peppers. Im really afraid of the sweetness but I’ll give it a shot. Will report back in a week. I’ve been looking for a chili recipe that both my husband and I like and this was it! Just the right balance of sweet and spice for us both. I topped mine with avocado and he sliced up some fresh jalapeños for extra heat. This will be a “go to” in our house – thanks! Hi! I am not really a fan of chili, but the idea of sweet and heat caught my eye, well more like my taste buds, hehe! 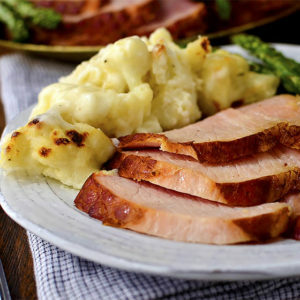 I am cooking this for a group today in my crockpot, super excited to try it! Only changes were, since I doubled the recipe I used 1lb ground beef and 1lb of spicy pork sausage, per another commenters suggestion – I also used a generic chili spice packet to save on cost, since I didn’t have the spices recommended. Thanks for the recipe! I made this chili a few weeks ago, when my husband had spent the day out in the cold and I knew he’d love to come home to something warming. My hungry fisherman ate probably half the pot of chili. The next night he asked me to make another batch. Then the following weekend he asked for it again. Lately, anytime I ask for input on what to cook he requests this chili! Good thing I love it, too! This is the best chili recipe I’ve discovered yet! It’s been such a hit! People just rave about it when I make it. It’s the perfect balance of what a good chili should be. Girl!! I made this chili today and it was hands down the best chili I’ve ever had, and my husband agrees!!! I just found your blog today and I’m so glad I did! I can guarantee I will definitely be coming back for more!!! Am hopelessly addicted to your chili. I add a can of corn to it and it is scrumptious. Even my 12 year old that won’t touch beans in any other form will eat a huge bowl of it! Thanks so much.